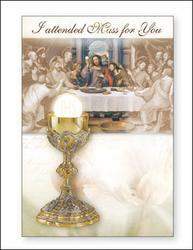 CATHOLIC GIFT SHOP LTD - I Attended Mass For You & Get Well Cards. I Attended Mass For You & Get Well Cards. 3 Dimensional Get Well Prayer Card. Get Well Mass Bouquet Card with with Imitation Pearls. 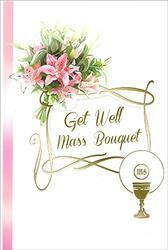 A Get Well Mass Bouquet Card. Sacred Heart of Jesus Get Well Mass Bouquet Card. Sacred Heart of Mary Get Well Mass Bouquet Card. A Get Well Prayer Card with Insert. A Get Well Prayer Card - Our Lady of Grace. A Get Well Prayer Card - Jesus the Good Shepherd. 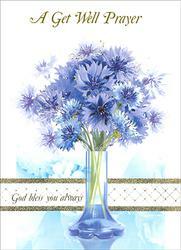 Sending You a Special Prayer - Get Well Card. Get Well Card - Praying For Your Recovery. Get Well Card with Metal Pocket Token.